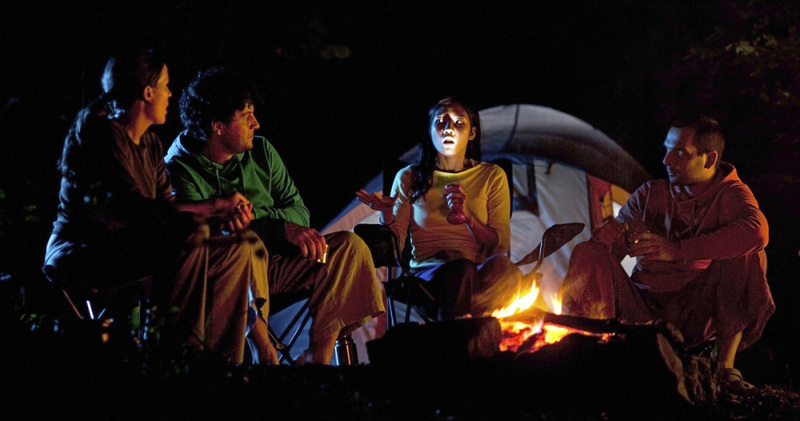 Campfire stories are best if told dramatically, using different voices and sound effects add to the scariness. Some of these stories can be stretched out to make them even more frightening. Be creative and have fun! 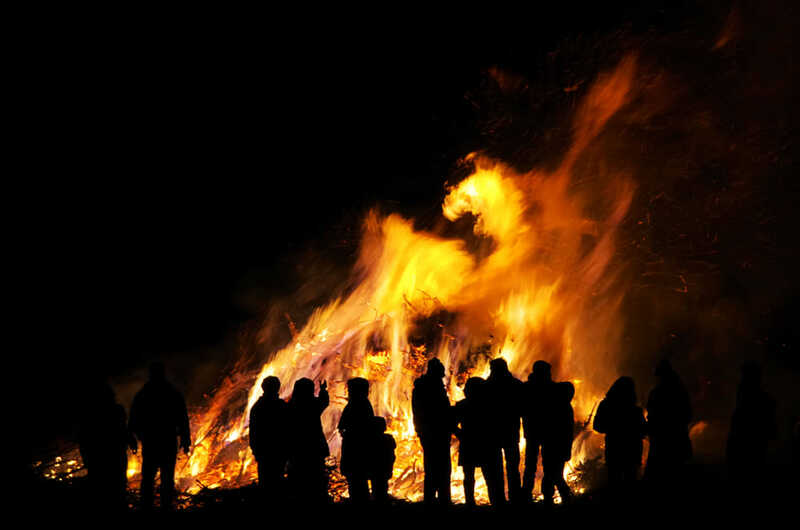 Some people love to be scared and our selection of scary campfire stories will thrill and delight them. Make sure you do not tell any of these stories to very young children or to young campers just before bedtime, to avoid nightmares. A young couple went to the movies, and stopped at the local Lover’s Lane for some kissing. The boy turned on the radio to set the mood. Just as he reaches his arms around his girlfriend, a news bulletin warns of an escaped murderer who has a hook for a right hand. The man had escaped from a facility for the criminally insane. The boy thinks it will be funny to tease his girlfriend to scare her. He begins to tell her he is sure they are in a place the escapee might choose to hide. He goes on and on terrifying his girlfriend. He hoped she would throw herself into his arms for comfort, however his plan backfires. His girlfriend insists they leave right away. Reluctantly, the boy drives his girlfriend home. When she gets out, she begins yelling and faints. The young man jumps out and runs around the car. There, on her door handle, is a bloody hook! A young lady was driving home after a long vacation. Sometime after midnight, a very heavy storm begins as she notices she is almost out of gas. She sees a sign for a gas station and convenience store and pulls off the interstate to fill her tank. The place is obviously open, but deserted, run-down, and old. She almost drives on, but concerned she might run out of gas, decides to stop and just get gas. As she pulls in, a tall man with a badly scarred face comes running through the rain. He pumps her gas and the girl rolls her window down just enough to hand him her credit card. He grabs it and runs back inside. The scarred man comes back, tells her she will have to come inside, because her card was denied, and hurries back inside without allowing her to respond. She really doesn’t want to go inside and considers driving off without paying. However, she decides to go in very quickly, take care of the bill, and leave as soon as possible. When she gets inside, the man grabs her arm and tries to talk to her. His voice is rough and difficult to understand and she thinks he may have had his voice damaged in whatever accident scarred his face. The man gets increasingly excited and the young girl becomes more frantic. She finally wrests herself from his grip and runs back to her car, leaving the station as quickly as possible. She sees the old man through her back window yelling and gesturing her to come back, but she keeps driving. She turns on the radio to help her relax and sees something move behind her. She looks in the rear-view mirror, just as a man appears in the back seat holding an ax. That is the last thing she sees in this life. The scarred man at the gas station had been trying to warn her. A young girl’s parents were going out for the night. Although she was still young, she thought she was too old for a babysitter. She begs to be allowed to stay home alone, even though her parents will be out very late. She promises to go to bed at her regular bed time and calls her parents on her cellphone just before she settles down for the night to tell them she is fine and not to wake her when they come home. She will see them in the morning. She is almost asleep when she hears dripping noises. She gets up to see if it is raining outside, but the star and moon are shining brightly. She returns to bed, and she as she closes her eyes, she hears the dripping noise again. Her hand is hanging out of bed and she takes comfort when she feels a wet tongue lick it. Knowing their dog is under her bed provides comfort. The dripping noise continue and she finally decides she must know what it is. Is there anything scarier than a ghost story? Perhaps it is because we all think spectral beings might possibly exist. Not all ghosts are malevolent, but they are all terrifying, and so are these stories. Aunt Lacy loved taking her niece, Felicity, on day trips. One of their favorite destinations was the beach. One summer day the air was particularly refreshing and the water a perfect temperature for wading. Aunt Lacy and Felicity became enamored with the little creatures they were finding in the tide pools, and all at once realized that not only was the sun setting, but it looked as if a very bad thunderstorm was coming. They quickly got in the car to head home. 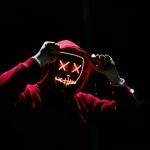 Although this seemed odd to Lacy, the woman had a pleasant smile, so she pushed her feeling of unease to the back of her mind and smiled back. The old woman gave them a hot meal and showed them to a warm, cozy room. The furniture was old and worn, but clean. When they awoke in the morning, they were eager to head home. There was no cell phone reception at the old house and Lacy was sure Felicity’s mom must be frantic with worry. They wanted to thank the proprietor, but she was nowhere to be found. They left a note taped to the door-jam with some money for their stay and left. A few miles down the road, Aunt Lacy’s phone beeped, indicating she had a message or call. She stopped at a country gas station to call Felicity’s mom and tell her they were on their way and okay. Lacy decided to fill her tank and buy some drinks. While paying for the gas and drinks, she made conversation with the attendant, telling him about their enjoyable stay at Rest Haven. Looking surprised, the man told Lacy and Felicity that the home had burned down years ago, killing the owner. They could not believe what they had been told, so headed back to see. There was no house, but on the ground, lay their note and the money. Callie was extremely tired and stopped at an old house with a sign declaring, “The Oaks Inn – Bed and Breakfast.” The room was very comfortable and she fell asleep as soon as she lay down on the bed. Callie woke up in the wee hours of the morning to the sound of a pianist playing Beethoven’s Moonlight Sonata. Callie was a pianist herself, traveling to the next town for a concert, and was very impressed with the skill of whoever was playing. She glanced at the clock and wondered who and why someone would be playing the piano at 2:00 in the morning. She simply could not go back to sleep while the music was playing. She finally decided she must ask whoever was playing the music to stop so she could get some sleep. Callie felt a chill in the air and shivered. Unable to resist the man’s command, she placed her fingers on the piano and they began to play the sonata together. As they played, they both faded out of sight as the music became softer and softer. At the last moment before completely disappearing, Callie realized she had just played her last performance. Johnny left his friend’s house late at night and headed home down the dark country roads. It began to rain. Suddenly, Johnny saw the blurry image of a woman in a long, white dress walking down the middle of the road. Johnny had to stop, so he asked the young woman if she needed a ride. Without saying anything, she got in and sat in the front seat. Since she was shivering, Johnny took off his coat and put in over her shoulders. After a few miles, the girl indicated, again without speaking, that she needed to get out at an old house. Johnny stopped the car and the girl opened the door. Johnny rolled down the window to ask for his coat, but the girl was gone. He left his car and walked to the door. An older woman answered and he explained that he had forgotten to get his jacket from the young woman he had just dropped off at the house. The woman began crying and explained to Johnny that her daughter, on this evening ten years previously, was on the way to her Prom when she was killed in a car accident. She was buried in the cemetery up the road, in the exact spot where Johnny had picked her up. The next day, Johnny drove to the cemetery to confirm the woman’s story. There, on the grave of a young girl, was Johnny’s jacket. Alan and Matt were ghost hunters. They would visit old cemeteries and see if they could stir up a spirit from an old tombstone. They set up their recorder on a particularly large and ornate headstone and prepared to begin. They were afraid to shine their flashlights on the stone to see the name engraved there, as trespassing in the cemetery at night was illegal. They had crawled over the fence at the rear of the cemetery to avoid the caretaker. Matt flipped the on button on the recorder and said aloud, “We would like to speak to whoever lies beneath this stone.” In response, all they heard was the scratching noise that seemed to come from behind the tombstone. Suddenly, both young men felt the air turn cold, and a tall, dark shadow rose from behind the tombstone. The shadow moved to engulf them. Alan and Matt had many encounters with spirits, and were not afraid. Too, late, they both realized the apparition meant them harm. The shadow swept down, engulfing them, and pulled them into the ground beneath the tombstone. The caretaker quietly picked up the recorder. Knowing he had the only evidence that someone had been in the cemetery and by that tombstone, he went to his tool shed and tossed the recorder into a pile with many others. 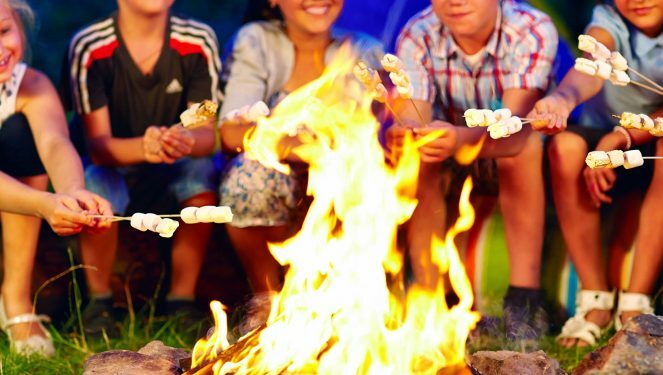 S’mores and creepy stories both create camping fun. Our campfire stories for kids create just the right number of shivers without terrifying young minds. 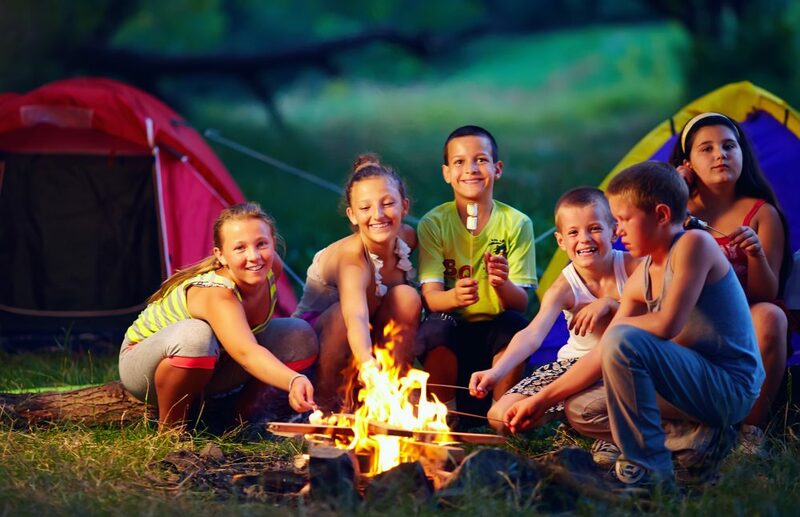 You can stretch out tales, add sound effects, and use creepy voices to enhance the campers’ experience and create those awesome camp memories. Two young girls, Maddy and Sue, were best friends who spent a great deal of time together. Maddy was spending the night at Sue’s house when they decided to tell ghost stories. Maddy told a story she heard from her older brother about how, if you stabbed a knife into a grave, the person buried there will reach out, grab you, and pull you into the grave. Sue did not believe the story. Maddy agreed, but said she was afraid to try it even it was just a story. Maddy called Sue’s bluff, daring her to go to the cemetery down the road and prove that she was not afraid. Both girls went to the kitchen downstairs, where they found a flashlight and a knife. Maddy decided her dare was silly and begged Sue not to go, but Sue wanted to prove the story was a hoax and that she was not afraid. Off she went, into the dark night. Maddy sat at the kitchen table waiting for her friend. Fifteen minutes passed, then twenty. Finally, after thirty minutes, Maddy ran to her parent’s bedroom, woke them up, and told them what had happened. She cried in her Mother’s arms as her father grabbed a flashlight and headed towards the cemetery. When he returned, he was pale and shaken. In a solemn voice, he told Maddy and her mother what he had found. There, on a grave, was Sue, dead with completely white hair. The police were called and after listening to Maddy’s explanation of why Sue was in the graveyard, the investigation determined the death was accidental. When Sue stabbed the knife into the grave, it went through the hem of her nightgown. Thinking she had been grabbed by the person buried there, she died of fright. Note: You will need someone to help you with this story. At the very end, you want someone to call out the name of the child in the story. A group very much like this one was camping in these woods. A little girl (or boy) went missing when she/he wandered away from the group. That is why we are always telling you to stay with the group or your camping buddy. Everyone was sitting around the campfire, when little Tonie (Tony) heard a rustling in a bush just out of the campfire’s light. Wanting to catch a small animal to keep as a pet, Tonie (Tony) quietly got up from the campfire’s circle and stepped into the dark. When it was discovered Tonie was missing, all the other campers were sent back to their cabins and a search was launched. When a storm came up, only one camp counselor continued to search. The campers and other counselors could hear her calling, “Tonie, Tonie,” until early in the morning. When everyone awoke the next day, Tonie was discovered in her/his cabin. However, the camp counselor who had searched and called for Tonie all night long was never found. They say you can still here her calling in the woods at night. If you listen carefully, you might hear her calling. Listen! 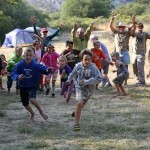 When all the campers become quiet, have your partner yell, “TONIE,” to scare everyone. Ashley and Courtney shared a room at college. The girls got along very well and spent their free time together. After an extremely busy week, they went to a party one evening. Courtney is ready to go, Ashley, however, must get her purse from the dorm room. She rushes in and grabs her purse without turning on the light. As newlyweds, Larry and Cindy love to spend time together. They both work long hours and frequently only have a few hours to spend together in the evening. To make the most of their time together, they meet for dinner before going home. One night, the couple returns home to find their beloved dog choking. Larry attempts to remove the obstruction with no success. They rush their dog to the all-night emergency veterinarian’s office, who says he must sedate the dog to remove the obstruction and the dog must remain overnight. The police drag out a man bleeding form one hand. “We found him in your bedroom,” says one of the policemen. When my grandmother died, I was given the task of cleaning out her house in preparation for selling it. The second night I was staying in the house, I heard a faint “rap, rap, rap” sound somewhere in the house. I got up and searched for where the sound was coming from. In the hallway, it was louder, “Rap, Rap, Rap,” and seemed to be coming from downstairs. As I went downstairs, the sound became louder, “Rap, Rap, Rap!” I explored the entire downstairs, but could not find the source of the sound. It seemed to be coming from under the floor of the kitchen. The cellar? Although I was scared, I had to find the source of that rapping. The sound became louder as I descended the stairs. In the corner was an old trunk. Now I could tell the sound was coming from the trunk. I opened the lid very slowly, and there it was – a roll of wrapping paper! On a dark night like this, a young man was walking home, on a dark, deserted street. As he passed the gates of a small cemetery, he felt as if he was being followed. Suddenly, he heard a bump behind him. Afraid to look back, he increased his pace. Bump, bump, bump. The bumping behind him continued, getting closer and louder. Finally, unable to ignore the bump any longer, he turned around. Terror stricken, he saw a coffin standing on end, bumping down the road from side to side – Bump, Bump, Bump, Bump . . . He started running for his life, but the coffin only kept on coming, increasing its pace to match his. BUMP, BUMP, BUMP. As the man became tired from running, the coffin began to get closer. The man grabbed a large metal trash can as he ran by and threw it at the coffin. Unfazed, the coffin kept coming, getting closer and closer. BUMP, BUMP, BUMP. He finally arrived home. As he ran into his yard, he noticed the axe resting against the side of the house next to the woodpile. He grabbed it up and hurled it at the coffin, but it simply bounced off. The coffin followed the man up unto the porch and crashed down the front door the man had closed and locked behind him. BUMP, BUMP, BUMP. He ran upstairs and grabbed his shotgun from where it hung on the wall, firing at the coffin as it came through the doorway. Still, the now partially shattered continued towards him. BUMP, BUMP, BUMP. In desperation, the man ran into the bathroom, closed the door, and backed as far as he could. He knew the coffin would simply break down the door. However, the man did not intend to give up. Grabbing a bottle of cough syrup, he hurled it at the coffin. The bottle shattered, covering the coffin with cough syrup. And the coffin stopped. A young girl was late for school one morning, so she took a shortcut, through a neighborhood her Mom told her was dangerous. “Promise me you will never walk to school that way,” her mother had said, “because it is full of temptation.” Her mother went on to tell her that she had been tempted but resisted. She was afraid her daughter was too young to do so. The young girl was almost to school and could not understand why her mother had issued such a warning. She had seen nothing tempting – no candy, toys, or other goodies. Just then, she saw, right in front of her, a large, copper pot. She scooped it up and rubbed it on the leg of her pants to clean it off as she thought it might be good to share for Show and Tell. Out popped a genie. She knew it was a genie from movies and television shows. “I will grant you three wishes,” said the genie. With a chuckle, the genie granted her wish. 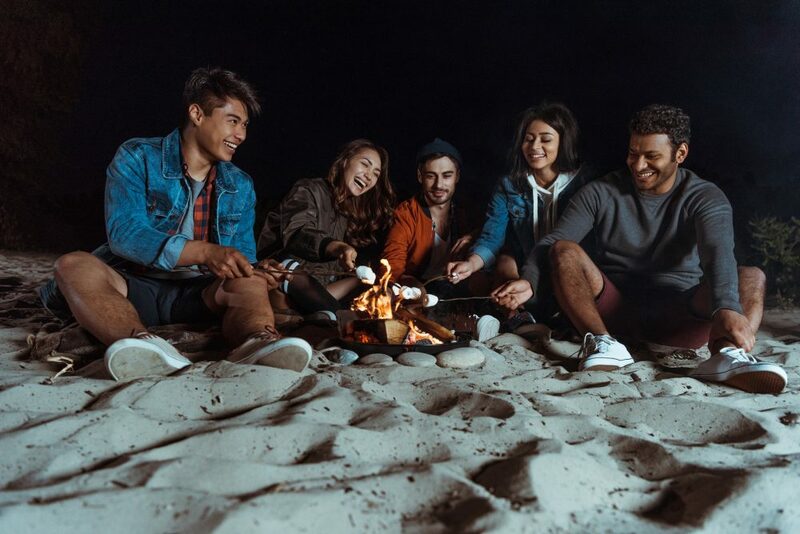 When the campfire is lit, the moon is high, and everyone is relaxing, it is the perfect time to tell scary stories. All the stories we have shared with you are variations of favorite tales, some of which have been around for fifty years or more. 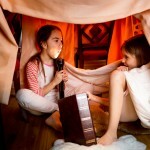 Add sound effects and scary voices to entertain your listeners. Enjoy! Some of these were actually pretty creepy.